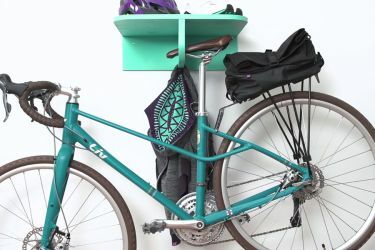 Even seasoned riders can get into the habit of grabbing their bike out of the garage and heading out on the road or trail without taking the time to make sure everything is working properly. Neglecting to perform a safety check could be a costly mistake. Whether you ride every day, it is your first spin of the season, or you taking your bike down from a shelf and dusting off the cobwebs, there are a few things you need to check before EVERY ride. Luckily, you don’t have to be a pro mechanic! Don’t forget: a prepared rider rarely has problems! Everything you carry with you on a ride is meant to keep you safe and ready for whatever you may encounter on the road or trail. What you bring with you is dependent on how long you plan to ride, where you will ride and if you are riding with others. For instance, if you are riding your mountain bike in a rugged environment far away from the nearest community, you should bring more supplies than if you are doing a quick road ride through your town. Still, it is always better to bring too much than not enough. These items are must-haves when you are going out for any ride. Even if you are only out for a quick 5 miles, you don’t want to have to push your bike home after getting a flat tire! Now that you have everything you need to be safe and prepared on your ride, here are a few things you want to look over on your bike before you head out on the road or trail. Brakes are the most important safety feature on our bike. Make sure they are in good working order and the pads are in good condition BEFORE EVERY RIDE! First thing is first, spin each wheel and make sure the brakes pads are not rubbing the rim (or rotor in the case of disk brakes). If your brakes are rubbing, the first thing to check is that your quick release axle is evenly secured in the dropouts. If the rubbing persists, you may loosen the bolt that holds the brakes to the fork, center the calipers, and tighten the bolt back down. If you are uncomfortable with doing this, take your bike into the shop and explain the problem. If your wheel is spinning freely with no brake rub, squeeze the levers of the brake to make sure the caliper is engaging and stopping the wheel. If either brake pulls back to the handle bar, then your brake is not working to its full potential (ie: it is not safe)! Make sure the brake release is down. If the brake lever is still not engaging, take your bike to the shop. They will either need to tighten your brake cable or bleed your brakes (depending on what type of brakes you have), either way this is an advanced procedure that should be performed by the shop. While you are inspecting your brakes, make sure to check the condition of your pads and replace them when necessary. This letter is working double-duty! Remember, your bike is a collection of moving parts. When these parts get dirty, wear and deterioration will occur. This means, you will have to replace parts sooner! The drive train of your bike is where you will see this deterioration first. So, make sure you are cleaning your bike after every muddy ride and, even if you only ride on freakishly-clean roads, you will need to DEGREASE and REGREASE every 100 miles! Cleaning your bike is easy with the right tools (rags, dish soap, a bike-specific degreasing agent, a big brush, a little brush, a sponge and chain lube. Don’t forget to give your chain and derailleur some extra love and scrubs. This is the hardest-working part of your bike and its job is easier when it is clean and well-lubed. However, more lube is not always a good thing. Excess lubricant will attract dirt and other abrasive particles; so, it is always good to wipe away any excess before the bike is ridden. While making sure your chain is clean and happy, also make sure the derailleur is not making any scary noises and shifting properly. If anything sounds fishy, take your bike into the shop and describe what kind of noise you heard and where it was coming from. Now you have the tools you need to make sure you are riding safety. Don’t forget to take your bike to a professional mechanic every few months to get a proper tune-up!